Estrella Mountain Community College (EMCC), one of the 10 colleges of the Maricopa County Community College District (MCCCD), will be holding public forums October 19th for the three finalists competing for the position of the Dean of Instruction. The forums are free, open to students, faculty, staff and community members, and are held in the North Community Room on the EMCC campus, located at 3000 N. Dysart Rd., in Avondale, Ariz.
Each of the forums will provide an opportunity to individually feature the final candidates, allowing for a brief introduction, the candidate’s own presentation of qualifications, and a question and answer session with attendees. Candidate biographies are included below. The Dean of Instruction supports faculty in science, technology, engineering, and mathematics (STEM) and career-technical education (CTE) programs. Promotes student success in a student-centered environment as a member of the college’s administrative leadership team. This position provides leadership and collaborates with administrators, faculty, staff and industry partners to create learning experiences and growth opportunities designed for the diverse communities EMCC serves. The job was posted July 2, 2018, and closed September 2, 2018, and included a national search through various employment mediums. Paula Livingston is currently serving as the Interim Dean of Instruction and Occupational Education at EMCC, providing leadership for STEM and CTE programs. In that role, she collaborates with faculty and staff on program and curriculum development as well as identifying and securing funding that will allow for growth of current programs and potential for new programs for the college. She also works to build relationships business and community partners that address the economic needs of Phoenix’s West Valley and provide opportunities for students to connect with potential employers. She serves on several key college and district committees including Leadership Council, President’s Cabinet, Student Academic Achievement Committee and MCCCD Workforce Development Council. Paula also enjoys giving back to the women of Maricopa by serving on the Linda B. Rosenthal Women’s Mentoring Program. 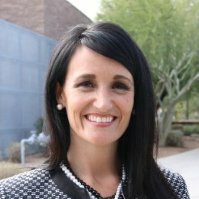 Prior to joining EMCC, Paula served as the Director of Institutional Strategies at Scottsdale Community College. In that role, she provided leadership on a variety of projects and initiatives including co-chairing SCC’s successful reaccreditation process, strategic planning, program review, and the management and distribution of workforce development funds. Paula has a BS in Accounting, an MS in Educational Leadership and is currently pursuing a Doctorate in Educational Leadership. Dr. Kelly Trainor serves as the Harper Campus Dean at Central Piedmont Community College (CPCC), located in Charlotte, North Carolina. The Harper Campus is one of six CPCC campuses. It is a diverse campus that serves just under 4,000 students each year. It is home to nine CTE programs which provide a wide array of curriculum and corporate and continuing education pathways. 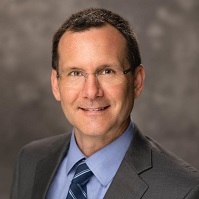 In his role as Campus Dean, Kelly is responsible for all campus operations and works closely with faculty and staff from many areas of the college to ensure students are successful, and that their campus environment is a positive and safe place to attend classes. In addition to his campus responsibilities, Kelly is also involved in various college-wide initiatives and workforce development activities. Prior to working at CPCC, Kelly worked at Yavapai College for ten years. During most of this time he served as faculty, teaching both general education and CTE courses. Over time he moved into more administrative roles, eventually finishing his time with Yavapai College as Associate Dean of the Verde Valley Campus. Kelly received a PhD in Microbiology from Arizona State University in 2008, and a BS in Agriculture, from the University of Arizona in 1996.